Player 1 cuts to the low post and receives a pass off player 4. 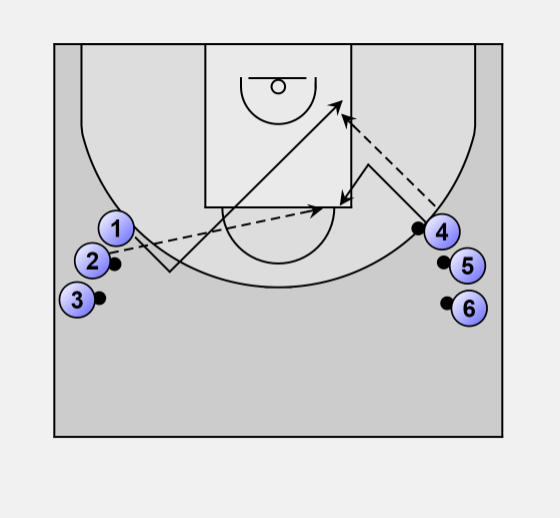 Player 4 then cuts to the high post (elbow) and receives a pass off player 3. The basic rule is that whenever you pass the ball you must then cut.